Bridesmaids. 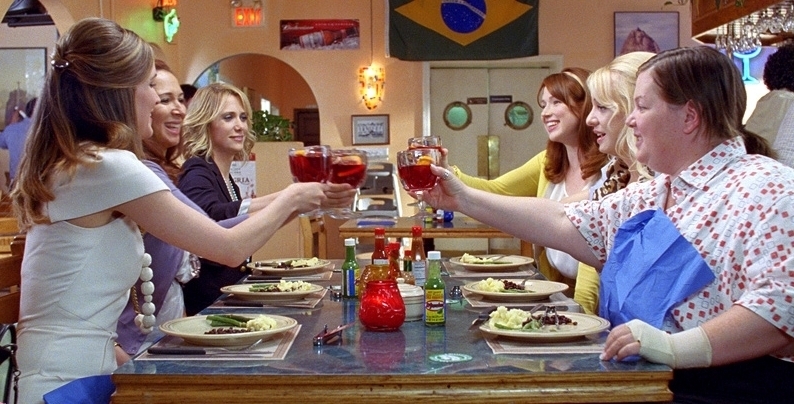 The ladies of Bridesmaids. Wallpaper and background images in the Bridesmaids club tagged: bridesmaids movie stills 2011 rose byrne maya rudolph kristen wiig ellie kemper wendi mclendon-covey melissa mccarthy. This Bridesmaids photo might contain खाने की मेज, चोली, ब्रासेरी, and बिस्टरो.